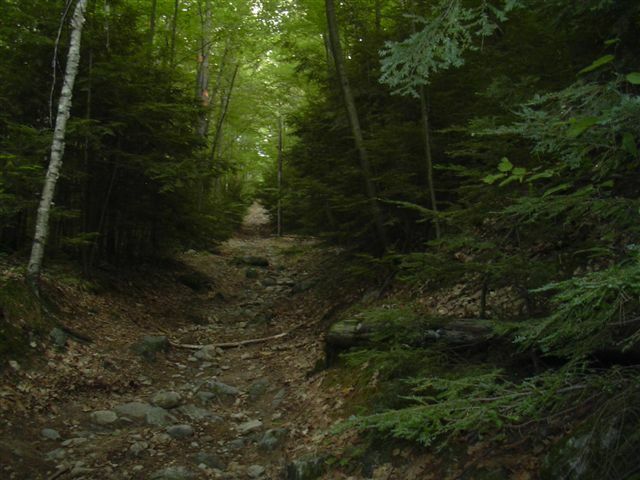 This lost ski area in Hudson, NH was at least partially built, but may never have operated. 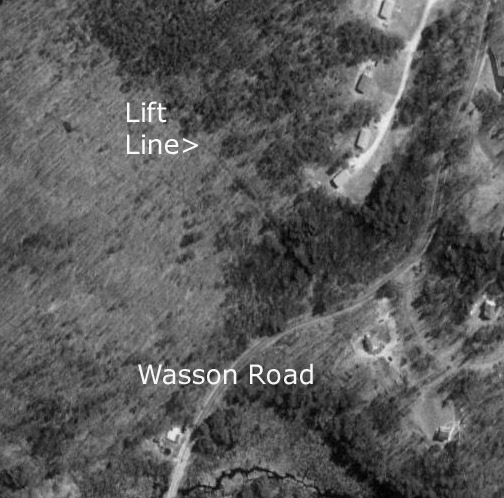 There is a lost ski area in Hudson NH off Wasson Road. 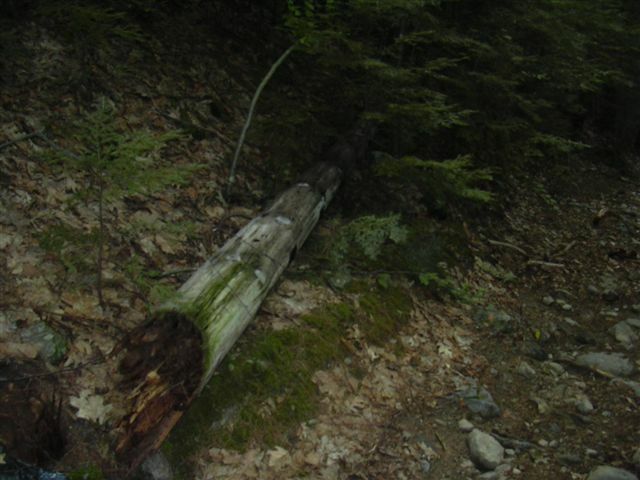 Last summer my son and I were mountain biking in the woods off Wasson Road when we came upon a steep trail that had a row of poles lined up along one side with automotive type spindles and rims attached to the tops indicative of an old rope tow. The trail ended 100 yards or so from Wasson Road and due to heavy growth there was no other obvious signs of a parking lot or operations building. There were poles in the ground with spindles for wheels--two still standing and one on the ground. Neighbors across the street indicated there was an attempt to put a rope tow on the hill but it never got finished as far as they could recall. It would have been a pretty steep and rocky tow line of about 500 feet or more. Jim Klein took several photos of the area, all shown below. The lift line is very clear, and eroded somewhat. Note the lift tower in the background. Closeup of the lift tower. This is a picture of a tow pole that broke off and was laying on the ground. 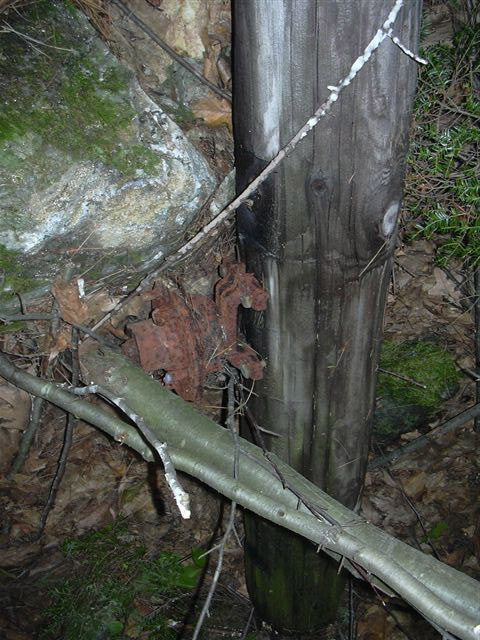 This shows the pole and if you look closely you can see the pulley hub in the center of the photo. 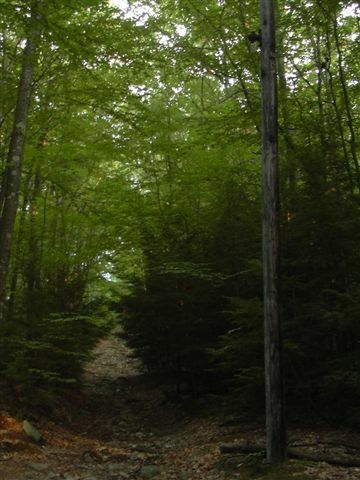 This pole is near the bottom of the lift line. A close-up of the hub which was mounted near the top end of the pole.